You can change the ammo and fuel setting of any of the planes in Rise of Flight War Tournament. 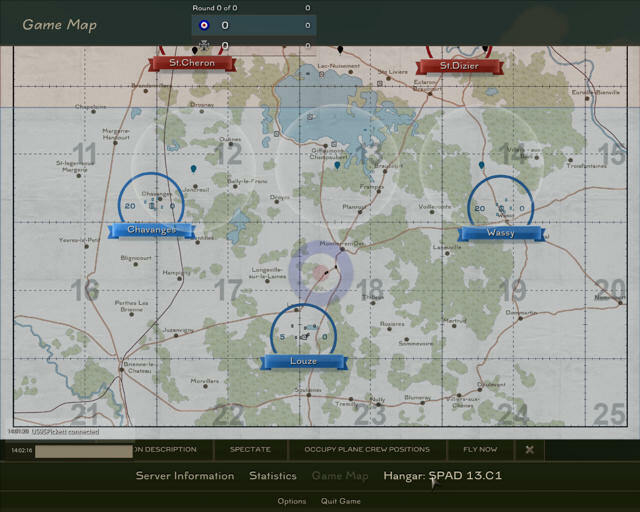 When joining the server, you will be shown a game map with the aerodromes displayed for both sides. Click on an aerodrome and you will see a list of the planes available at that aerodrome. Click on the plane model you want to fly and you will be shown the image below. After you have clicked on the plane model you want to fly, you will see the above screen. 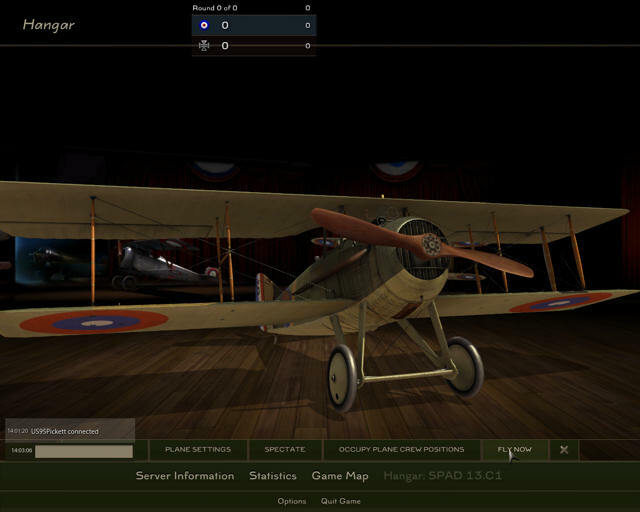 Note the “Hangar” button on the bottom right side of the screen (this example shows the Spad 13). 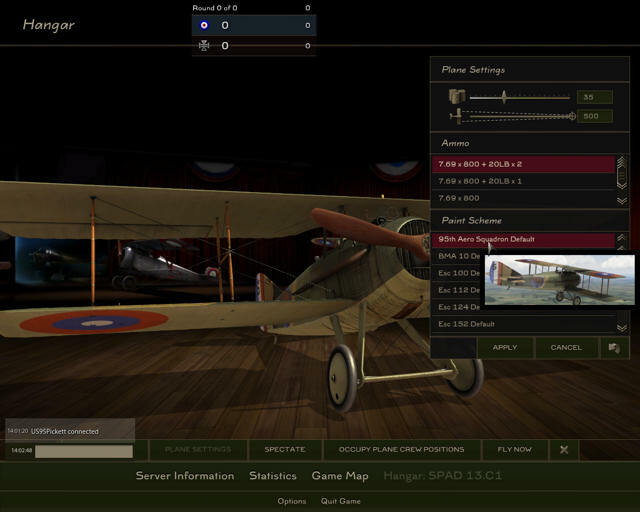 In order to change the settings of your plane, click on the “Hangar” button and you will be shown the image below. 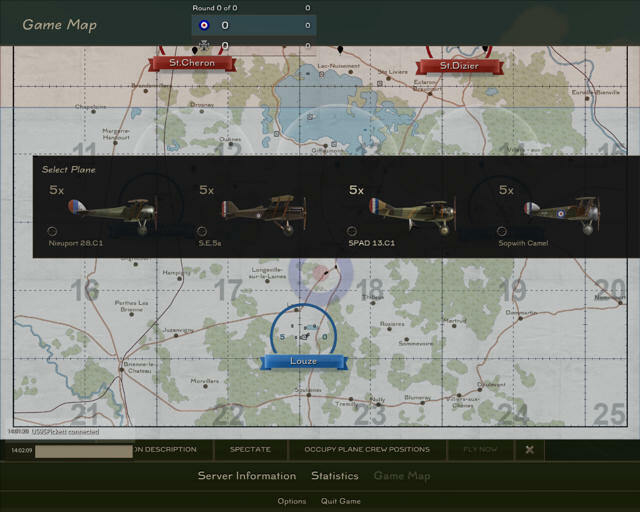 On the right side of the screen, you will see the different options you can choose for your plane model, IE: fuel load, machine gun convergence, ammo load, plane skin. Make your selections and be sure to click on the “APPLY” button to save your changes and you will be shown the image below. Just click on “FLY NOW” and you will enter the server at your chosen aerodrome, ready to fly.